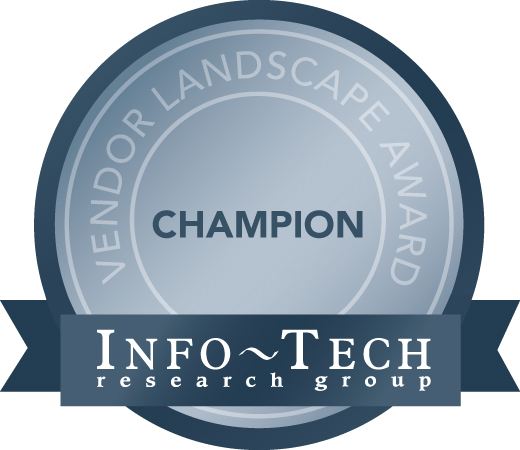 Melbourne, Australia, Tuesday 4th April – Global Business Intelligence (BI) and analytics software vendor, Yellowfin, is a Champion for the second consecutive time in Info-Tech Research Group’s Mid-Market Business Intelligence Vendor Landscape. The same 2017 Info-Tech Research Group report, titled Select and Implement a Business Intelligence and Analytics Solution, also identified Yellowfin as a Leader in Info-Tech Research Group’s Enterprise Business Intelligence Vendor Landscape. Additionally, Yellowfin’s Collaborative BI capabilities were crowned “best in class” compared to the 14 other vendors assessed in the report. Of the 10 BI vendors selected for assessment in the mid-market use case (Tableau, BOARD, MicroStrategy, Dundas, GoodData, TIBCO, Microsoft, Qlik, Domo and Yellowfin), Yellowfin maintained the highest Info-Tech Value Score. The Value Score indexes each vendor’s product offering and business strength relative to its price point and competing products within the same use case. The 15 vendors included in the overall study were chosen after being vetted by Info-Tech Research Group’s rigorous research and evaluation methodology. According to the analyst firm, the report – and Vendor Landscapes contained within it – is designed to assist organizations to compile a BI vendor shortlist and “identify vendors that align with [individual] requirements and solution needs”. The study evaluated BI product features against four core criteria: Usability, Affordability, Architecture, and Advanced Features (Alerts and Notifications, Cloud Offering, Collaboration, Connections to Big Data, Data Mashup, Data Warehouse Automation, Embeddable BI, Forecast and Statistical Analysis, Geospatial Analysis, Integration with Microsoft Office and Other Productivity Tools, Object Search, Performance Enhancement, Self-Service, Storytelling, Text Analytics). Vendors themselves were also evaluated against four criteria, including Viability (vendor is profitable, knowledgeable, and will be around for the long term), Focus (vendor is committed to the space and has a future product and portfolio roadmap), Reach (vendor offers global coverage and is able to sell and provide post-sales support), and Sales (vendor channel partnering, sales strategies, and process allow for flexible product acquisition).